Low-glare, remote loop-in/loop-out driver. Includes white bezel. Order chrome 15728 and satin nickel 29523 bezels separately. • Diameter 85mm. Recess depth 70mm. Cut out 70mm. 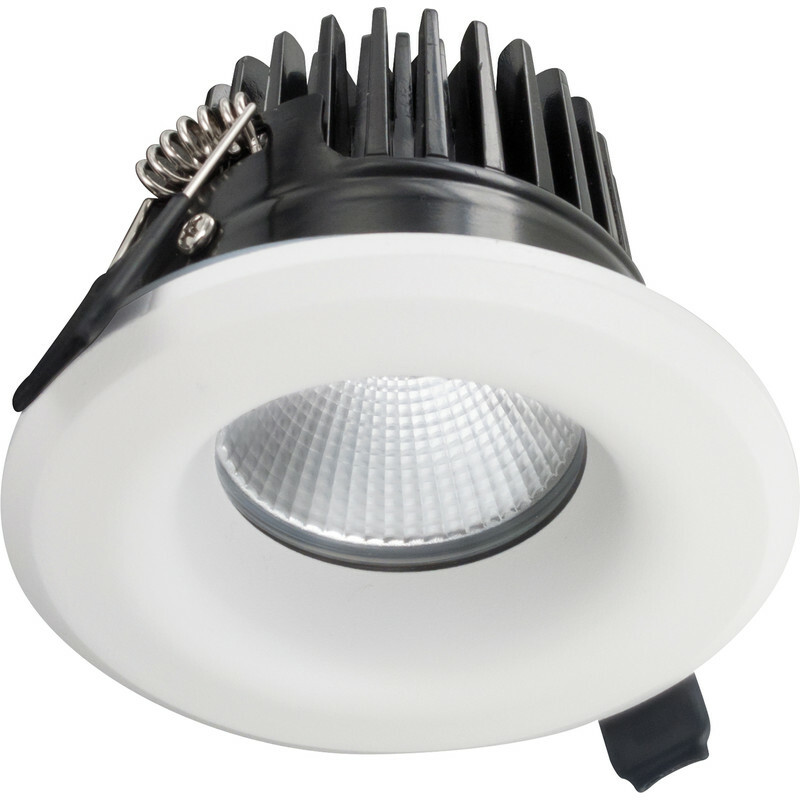 Integral LED White Integrated Fire Rated IP65 Downlight 6W 36° Warm White 410lm is rated 5.0 out of 5 by 1. Rated 5 out of 5 by RayH from Quality product These are yet another quality product I have chosen from this Manufacturer. They are solid, well assembled units. They are easy to fit and come with simple instructions for installation. Additional interchangeable bezzles are also available.